We started our first day of plant collecting early on the 28th September. Armed with data relating to the specimens collected by Broughton and the localities, we took a team of botanists with us into searing heat and high humidity to the top of a mountain and were very fortunate not to get into danger as there is plenty in the scrub. Land is reclaimed illegally for growing marijuana and producing charcoal so we had to be careful and often dogs are used to keep people away. This also meant that the habitat is much changed and so finding the necessary specimens to bring back was not always possible but we did manage to find some corresponding records. From left to right Dr Philip Rose, Patrick Lewis, Vicky Purewal, Rhian Rowson, Keron Campbell and Patrick Plummer (machete wielder, which was useful for cutting paths through the vegetation). Prior to our expedition, Keron Campbell, botanist at the Natural History Museum of Jamaica drove us to the University of the West Indies. We met with Patrick Lewis the herbarium curator and Dr Phillip Rose, the botanical lecturer at the University. We were later joined by Patrick Plumber, the University technician. We visited the collection and learnt about the flora of Jamaica which consists of c.2,700 specimens of flowering plants and 600 ferns. The herbarium had mainly been collected in the late 1800s by renowned Irish botanist William H Harris (1860-1920) who was the former superintendent of gardens and plantations in Jamaica. He discovered a large number of species new to science. We were impressed that the 36,000 specimens were well cared for, re-mounted onto archival card and all strapped and not adhered with PVA, a practice the Jamaican botanists were not in favour of. 300-year-old plant collection brings Bristol Museum & Art Gallery and the Natural History Museum Jamaica together! In the autumn of 2014, I was fortunate to be contracted by Bristol Museum to conserve and digitise 4 bound volumes of plant specimens dating from the 1770s and collected by the prestigious botanist Dr Arthur Broughton. The conservation and digitisation was completed in early 2015, yet two years on I am still working with and fascinated by this fabulous collection. The most exciting connection made during the research side of this project was with the Natural history museum of Jamaica (NHMJ). Through this collaboration, the opportunity has arisen for both me and Rhian to travel to Jamaica to collect modern material, research the historic plant specimens and illustrations held in Bristol museum and the collectors behind them. We have been extremely fortunate to gain funding from both WIRP (Working Internationally Regional Project) and the Jonathan Ruffer Curatorial Grant. Both funders were extremely supportive and constructive in helping towards our submitting a successful application. Victoria Purewal viewing remounted specimens from one of the Jamaican volumes. We fly into Kingston, Jamaica on Tuesday 27th September and will be gathering historical data on Dr Broughton and other prestigious botanists including Robert Long and the Reverend Lindsay, both of whom were collecting and working during this interesting time in history. We will be met by Keron Campbell, the botany curator at the NHMJ and together with the natural history team we will be escorted around the island, helping us to identify and verify plant specimens and localities. Modern day specimens will be collected to help interpret our historic material and provide a contemporary and fresh perspective that we can use to engage with our Bristol and Jamaican communities. We will be keeping active on social media whilst there, and hopefully offer some insight on the specialisms and research being conducted in Jamaica but also on the botany and the habitats on the island of Jamaica. Time is racing away, and in just a few days we will be at the NatSCA Bone Collections day in Cambridge (8th September 2015). The talks and posters promise to be really varied, interesting, and hugely informative. There is also the added bonus of a practical session to get your hands on some skeletal material, and, under the expert guidance of Bethany Palumbo, learn all about the basics of bone conservation. Just a month later (15th October 2015), Paolo Viscardi will be leading a workshop on the identification of natural materials, a free course run by NatSCA and held at the Royal Albert Memorial Museum in Exeter (now sold out). 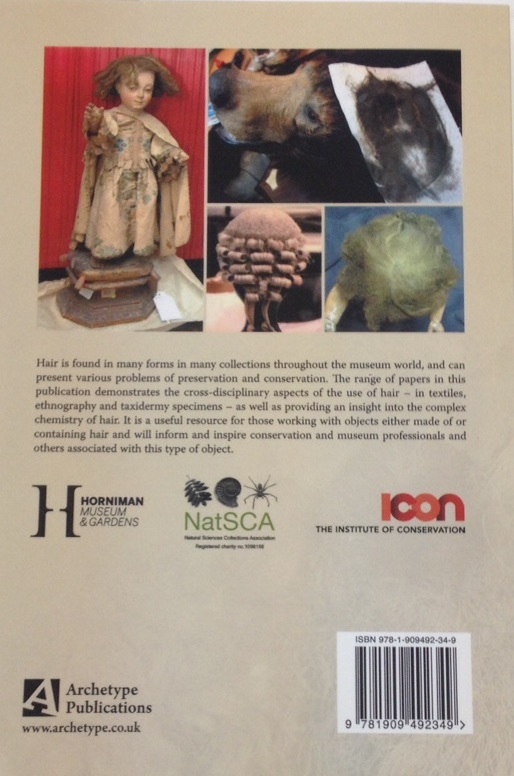 There is still more good news in that NatSCA, the Horniman Museum and Gardens, and Icon have published a book containing the full papers given at the Conservation of Hair conference held in June 2014. The book is published by Archetype books. After many years of sterling work, Simon Moore has decided to step down from NatSCA committee, and so, with his continuing support, I have taken up the reins as Conservation Representative for NatSCA. 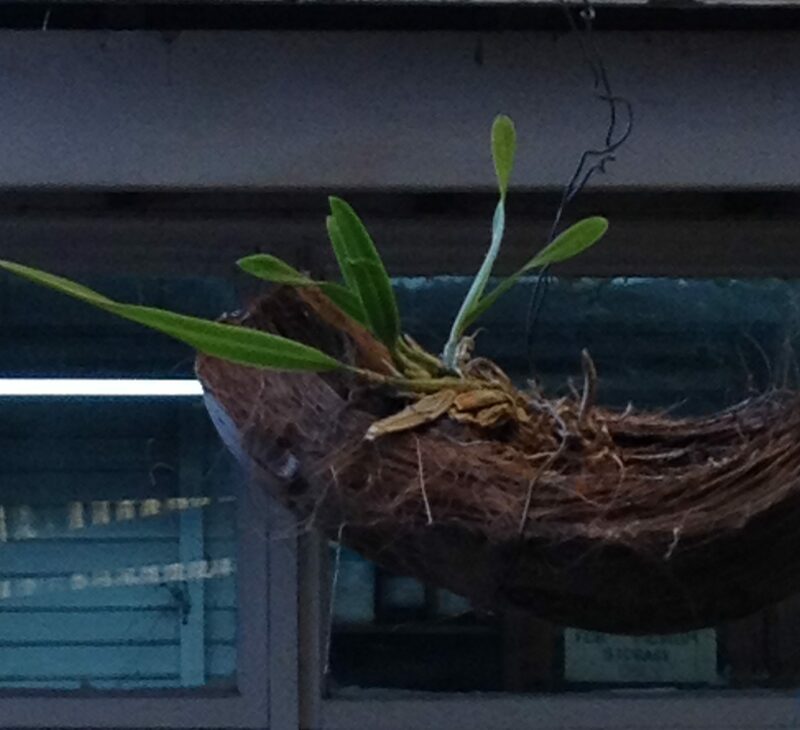 Quick introduction…My background is biology and ecology. 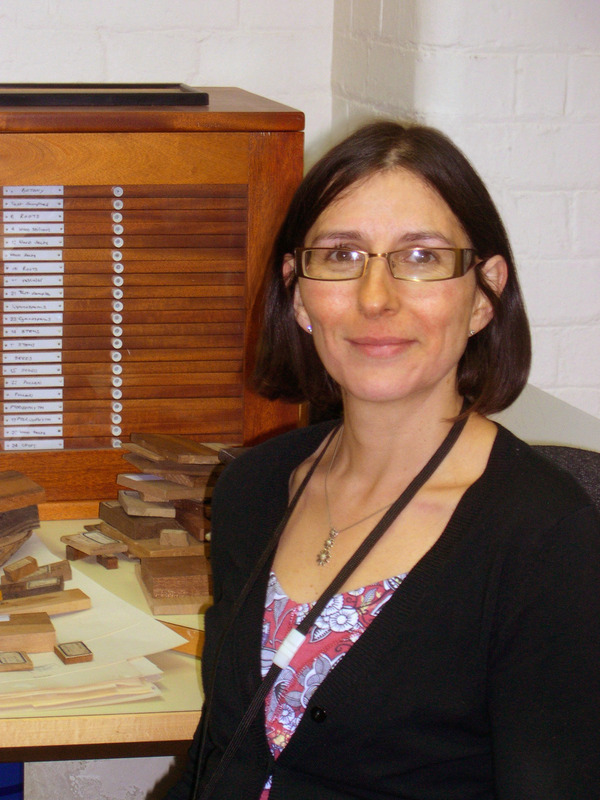 I am an accredited natural sciences conservator, specialising in plants, paper, bound herbaria and historic biocides. Since graduating, I worked at the National Museum Wales (AC-NMW) as the botanical conservation and research officer. During this time I achieved an MSc in Conservation Science, and later a doctorate in devising a simple tool to identify mercury in herbarium collections and for mitigating hazardous biocides from the working environment. This area of work still interests me, and I provide advice to individuals and institutions on how best to tackle this area. I recently left the museum after 24 years (I know!) and have set up my own conservation consultation company. I have been very fortunate in gaining some really interesting projects to work on since leaving the museum and will post snippets about these shortly. level of commitment to its membership, NatSCA is now championing Volunteer roles to aid committee core roles. To help with sourcing information and input for this blog, I will be supported by Lucie Graham Natural History Conservation Officer at Lancashire Conservation Studio, Manchester. Thanks very much Lucie! Apologies in the long delay in this announcement but please watch this space as there is plenty of upcoming conservation news and events, which will be posted regularly to this blog; the NatSCA calendar and the notes and comments where more detailed information will be posted. I look forward to hearing your news and hopefully we can keep this a lively and informative blog.